One of the greatest inaccuracies spread by the opportunist politicians and the bourgeois intellectuals about Antonio Gramsci is the alleged distance, or even opposition, between his positions and those supported by Lenin and Stalin, and consequently his closeness to the ideas of Trotsky. The origins of this legend are remote and well orchestrated, beginning with the fascist “Il Messaggero”, which, on May 12, 1937, announcing Gramsci’s death, spoke in an ignorant and cowardly fashion of “his fidelity to Trotsky”. In the 1960s and 1970s, Gramsci’s “Trotskyism” was the daily bread of revisionist swindlers, which in this way constructed the unworthy and undeserved myth of the alienation or even aversion between the “good” Gramsci and the “evil” Stalin. In reality, by examining the texts exactly the opposite emerges, namely a coincidence with the Bolshevik positions and a clear criticism of the positions of Trotsky and other opponents of Stalin. So let us now let Gramsci speak. In 1924 Gramsci, in his address to the “Conference of Como”, for the first time sketched a parallel between Bordiga and Trotsky (who also had differences between them), criticizing both: “Trotsky’s attitude, initially, can be compared to comrade Bordiga’s at present. Trotsky, although taking part ‘in a disciplined manner’ in the work of the party, had through his attitude of passive opposition – similar to Bordiga’s -created a state of unease throughout the Party, which could not fail to get a whiff of this situation. [...] This shows that an opposition – even kept within the limits of a formal discipline – on the part of exceptional personalities in the workers’ movement, can not merely hamper the development of the revolutionary situation, but can put in danger the very conquests of the revolution.” (“The Building of the Communist Party.” English translation from Antonio Gramsci, Selections from Political Writings, 1921-1926, University of Minnesota Press, Minneapolis, 1990, pp. 252-3). Again in 1925, on the occasion of the Fifth Plenum of the enlarged Executive Committee of the Communist International, the Italian delegation, led by Gramsci, sided in favor of Stalin’s positions concerning the criticism of Trotsky without reservations. For Gramsci, the decision to build socialism in the USSR under the conditions of capitalist encirclement was perfectly consistent with the needs of a period characterized by the relative stabilization of capitalism and the ebbing of the revolutionary wave. Therefore his intransigent criticism of Trotsky, of his strategy of “permanent revolution”, which he considered incorrect, simplistic and insufficient, and his firm commitment to the strategy and politics of the Bolshevik leadership which, as we shall see, he would confirm in his Prison Notebooks. 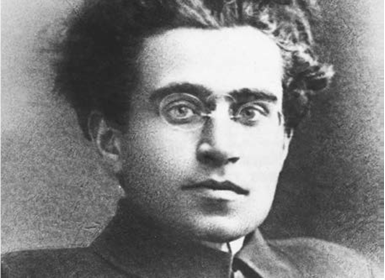 Gramsci was always concerned for the cohesion of the Russian party, which was needed by the proletariat at both a national and international level. In those years, in which the divergent positions between the Soviet party headed by Stalin and the Zinovievist and Trotskyist bloc were become programmatic, Gramsci several times warned about the risks of a split which the international bourgeoisie could take advantage of in order to overthrow proletarian power in Russia. “In fact, one question is of the greatest importance in the measures jointly adopted by the Central Committee and the Control Commission of the Communist Party of the U.S.S.R.: the defense of the organizational unity of the Party itself. It is evident that, on this ground, no concession or compromise is possible, whoever promotes the work of the disintegration of the Party, whatever the nature and degree of their past merits, whatever the position that they hold at the head of the communist organization. [...] So we think that the whole International must gather closely around the Central Committee of the Communist Party of USSR in order to approve of its energy, rigor and resolution in striking implacably at whoever threatens the unity of the Party.” (Measures of the C.C. of C.P. of the U.S.S.R. in Defence of the Unity of the Party and against the Work of the Faction, in L’Unita, July 27, 1926). The same concern for the organizational and ideological unity of the Soviet party, and its national and international implications (particularly the struggle that was taking place in Italy for the development of the Party) inspired the famous letter “To the Central Committee of Soviet Communist Party” written in October of 1926 (published in Antonio Gramsci, Selections..., op. cit. pp. 426-432). In this letter Gramsci intervened, in the name of the Political Bureau of the Communist Party of Italy, in the harsh political battle that was developing in the USSR between the Bolshevik leading group and the Trotskyist- Zinovievist opposition, declaring “basically correct the political line of the majority of the Central Committee of the CPSU”. (ibid., p. 430), headed by Stalin. “We repeat that we are struck by the fact that the attitude of the opposition [Zinoviev, Kamenev and Trotsky] concerns the entire political line of the Central Committee, and touches the very heart of the Leninist doctrine and the political action of our Soviet party. It is the principle and practice of the proletariat s hegemony that are brought into question; the fundamental relations of alliance between workers and peasants that are disturbed and placed in danger: i.e. the pillars of the workers‘ State and the revolution.” (ibid., p. 431). Being a fierce supporter of Leninist principles, Gramsci in the same letter harshly criticized “the root of the errors of the Joint Opposition, and the origin of the latent dangers contained in its activities. In the ideology and practice of the Joint Opposition are born again, to the full, the whole tradition of social- democracy and syndicalism which has hitherto prevented the Western proletariat from organizing itself as a leading class.” (ibid., p. 432). And he concluded by pointing out: “Our letter was a whole indictment of the opposition, not made in demagogic terms, but precisely for that reason more effective and more serious.” (ibid., p. 440). Therefore an interpretation of these letters that aims to strengthen the idea of a “Trotskyist Gramsci” or a vacillating Gramsci is completely without foundation. It is very clear on which side Gramsci stood in the struggle that developed within the Russian party: on the side of the Bolshevik majority of the Party members. As is well-known, the revisionists assert that in his Prison Notebooks Gramsci does not write about Stalin, except indirectly, and that when he mentions Stalin’s USSR, he does it in a critical way (see, for instance, the thesis of G. Vacca in L ‘URSS staliniana nell ‘analisi dei Quaderni del carcere [Stalin’s USSR in the analysis of the Prison Notebooks] in Gorbacev e la sinistra europea [Gorbachev and the European Left], Rome 1989, p. 75). These are unscrupulous lies and deceptions, because the passages in Prison Notebooks that deal with Soviet socialism are all in favor of Lenin and Stalin and against Trotsky. There are four questions that Gramsci examines in his Notebooks in order to defend Bolshevism and criticize Trotsky: 1) The theory of the permanent revolution; 2) The stages of the revolution, and the consequent strategy and tactics; 3) The industrialization in the USSR; 4) The relation between internationalism and national policy. Let us now examine the corresponding notes in the Prison Notebooks, on the basis of the edition prepared by the International Gramsci Society (IGS) (the text corresponds to the critical edition edited by V. Gerratana and published by Einaudi in 1975). In square brackets we insert the necessary explanations of the pseudonyms (for instance, in the Notebooks Lenin is called Ilyich, Stalin is named Vissarionovich, Trotsky is sometimes called Bronstein, sometimes Leon Davidovich) and rewordings used by Gramsci in order to elude the fascist censorship. According to Gramsci, modern “Jacobinism” expressed itself above all in a policy of alliance with the peasantry, under the hegemony of the working class. So Gramsci evaluated the correct Bolshevik policy conducted by Stalin against the Trotskyist thesis of the “permanent revolution”. This thesis underestimated the importance of the poor peasants as a revolutionary force, and expressed complete distrust in the ability of the proletariat to lead all the exploited and oppressed people in the revolution, until it arrived at the impossibility of building socialism in one single country. It is interesting to observe that Gramsci took up this same note almost completely in Notebook 19, written in 1934-35, that is, after the definitive break with Trotskyism. 2. In his reflections, Gramsci linked the question of the “permanent revolution” to the question of the transition from the “war of maneuver” to the “war of position”. In particular, after the defeat of the revolution in Germany in 1923, and the transition of the worker movement to defensive positions, Gramsci was convinced that the problem of the development of the revolutionary process in Europe had to be redrawn up, understanding the reasons of the temporary ebb and establishing revolutionary tasks appropriate for the new phase. It is an open support of Stalin’s line, for the reinforcement of the proletarian dictatorship, a political line that “requires exceptional qualities of patience and inventiveness”, but was the only successful one in that concrete historic situation. A political line diametrically opposed to that of Trotsky. Gramsci here takes into account one of the crucial questions of the harsh debate that involved the RCP(b) and the Communist International in the 1920s: the question of the forms and rhythms of industrialization and the NEP. According to Gramsci, Trotsky is the highest representative of a harmful tendency, a kind of “Americanism”, based on coercion, command and the military systems. Therefore it was a position incompatible with Leninism, a position which contradicted the “temporary retreat” of the NEP and would lead to the breakup of the alliance with the peasantry and to the ruin of Soviet power. So it was a tendency that had to be smashed, as it would have led to the restoration of capitalism. Gramsci never evinced doubts on this matter. In fact, on two other occasions he explained and approved of the elimination of Trotsky: in Notebook 14 §76, marking the elimination of Trotsky like “‘an episode of the liquidation “also” of the “black” parliamentarism which existed after the abolition of the “legal” parliament” (Selections from the prison notebooks of Antonio Gramsci, International Publisher, New York, 1971, p. 256); and in Notebook 22 (that can be dated to 1934), when, referring to Trotsky’s tendency, he repeated “the inexorable necessity of crushing it”. (Ibid., p. 301). 4. Last but not least, let us look at the note in Notebook 14, §68, in which Gramsci, taking as his starting point the speech of Stalin at Sverdlov University in Moscow (June 9, 1925 – see note at the end of the article), directly contrasting Stalin (Vissarionovich) and Trotsky (Davidovich). It is clear as day that Gramsci, tracing the “fundamental disagreement” between Trotsky/Davidovich and Stalin/ Vissarionovitch, shared Stalin’s position, the interpretation of Bolshevism that, in Gramsci’s opinion, correctly put forward and resolved the problem of the combination of national forces that the international class must lead and develop in the perspective of world communism. In the light of the texts, an interpretation of Gramsci’s thought in a Trotskyist sense is groundless. On the contrary, from Gramsci’s work, including the reflections contained in the Prison Notebooks, there emerges a ruthless criticism of Trotsky. In all the passages where Gramsci writes about Trotsky the content is always one of a harsh polemic. At the same time, Gramsci positively appraised the positions of Lenin and Stalin; he approved the whole of the Bolshevik policy, including those features that the bourgeoisie and revisionists include in the misleading concept of “totalitarianism”. There is no text or speech, neither in freedom nor in prison, in which Gramsci expressed a negative opinion much less denigrated the leadership of the Bolshevik Party and comrade Stalin. The manipulators of modern revisionism, the magicians of “socialism of the 21st century” and all the bourgeois and reactionary intellectuals are completely refuted. Antonio Gramsci was a great revolutionary leader of the proletariat, a giant of communist thought and action, who always fought against anti-Leninist deviations, who always defended the dictatorship of the proletariat, the system of working-class democracy embodied in the Councils (Soviet), against the false bourgeois democracy and its social-democratic variants (such as today’s “participatory democracy”). He always insisted on the necessity of a revolutionary transformation of the whole of society through the smashing of the bourgeois State, and always remained faithful to Marxism-Leninism and to proletarian socialism, until the last day of his life. To rescue Antonio Gramsci, the great communist leader, from the claws of the bourgeoisie, the revisionists and opportunists is an important task for the revolutionary proletariat. Note: Stalin’s speech, titled Questions and Answers (Works, Vol. 7), was translated into Italian and published in serial form by “L’Unita” in 1926. Gramsci, quoting by memory in jail, by mistake confused the date of that speech with the date (September 1927) of Stalin’s Interview with the First American Labor Delegation, that was also in the form of questions and answers (Works, Vol. 10), of which Gramsci had read an account in a magazine while he was in jail. The change of dates was not noticed by the editor of the critical edition of Prison Notebooks, Valentino Gerratana, who perpetuated the mistake with a misleading commentary. Instead it is clear that Gramsci was referring to the Questions and Answers of 1925 (see particularly Stalin’s reply to questions II and IX).